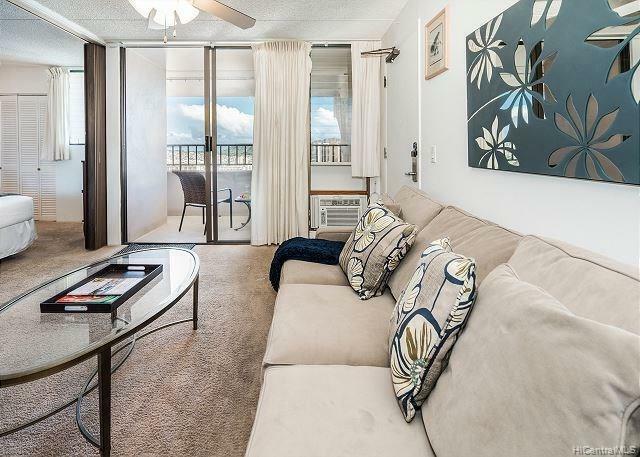 Rarely available FEE SIMPLE unit with breathtaking Diamond Head, ocean, and Ala Wai views! 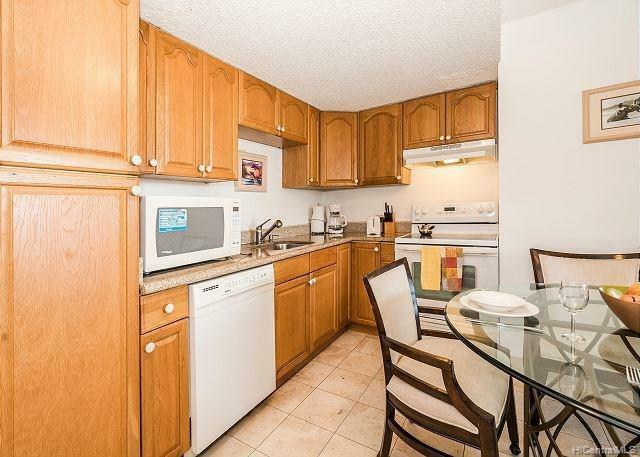 This is a rarely available fee simple 1-bdrm end unit with 1 parking stall. A great investment opportunity. Currently being renting out as a short term rental unit. 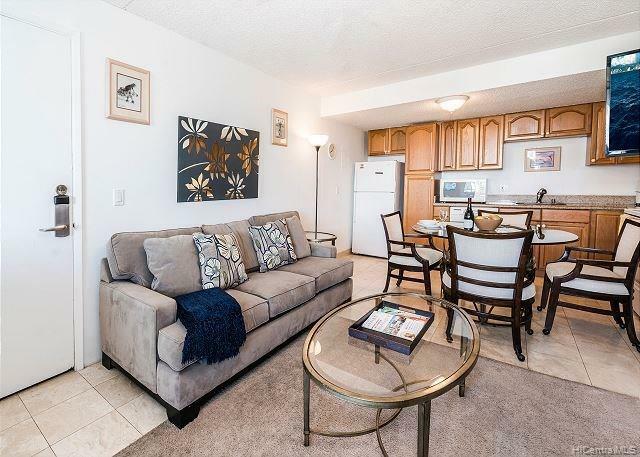 Includes granite countertops, natural stone ceramic tile, carpet, window AC unit. Lots of amenities: pool, sauna, fitness room, tennis court, and more. Building is pet friendly. 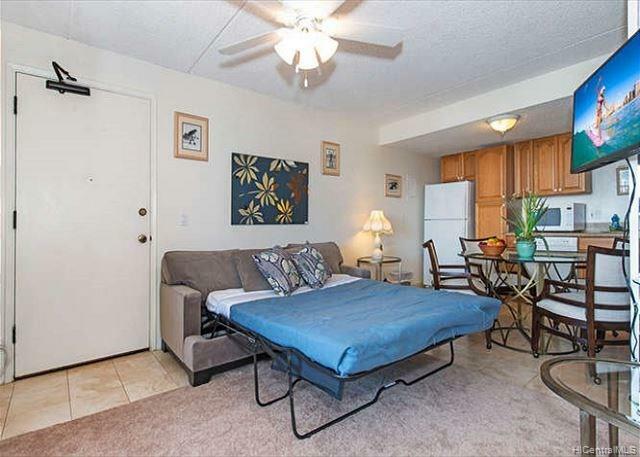 Located in the heart of Waikiki, close to shops, beaches, bus line & restaurants!